his outstanding performances in Rock On!! andLuck By Chance. But we cannot forget that this fabulous actor is an amazing director as well. He is the man behind the great films Dil Chahta Hai, Lakshya and Don. In 2011, he has worn both hats: he starred in one of the best and most entertaining films of the yearZindagi Na Milegi Dobara, and he will end with a BANG! as a director with Don 2, of course starring Shah Rukh Khan. 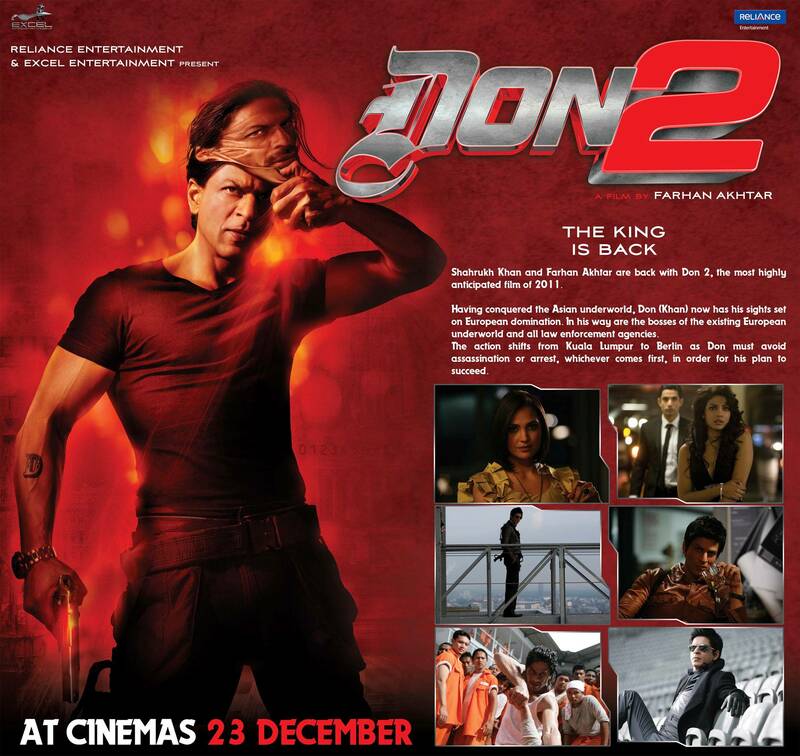 Initially, Farhan wasn’t hell bend on giving Don, which released in 2006, a sequel. Now he regrets saying that he would not make a sequel. “I feel guilty for saying that I would not do a sequel. When the film released everyone asked me about the sequel. They wanted to see what happened next. My obsession with the character got the better of me, so I decided to write the story. With amazing help and support and almost a sharing of vision with Ritesh and Shah Rukh and the rest of the team, I could not help but make Don 2. And now I am happy with the sequel,” says Farhan. 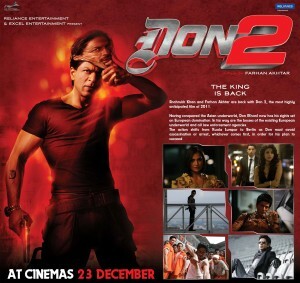 So now that we are on the sequel-tour, can we expect a Don 3, if part 2 is a succes? “Don ko pakadna mushkil hi nahi, namumkin hai. So who knows, maybe the story will go further with sequels. It will be fun making them,” adds Farhan. Whatever script Farhan writes, he will always let his father read it first. So naturally, Javed Akhtar, also gave his inputs for this film. “He is a gem, a legend and the right person to take suggestions from. He is so experienced and artistic and when I have access to him why not use it? A few weeks back a song appeared on the internet claiming to be from the Don 2 soundtrack. Farhan denied this on Twitter. But he does admit being scared of piracy. “I am not afraid because we are working with people whom we trust. Yet if such things happen we can’t stop it. The only thing every producer is afraid of is piracy. All we can do is request people not to see pirated films,” says Farhan. Does he feel nervous about high expectations? “I have made the movie with honesty and hard work. Now it is up to people if they like it or not. I hope people will like it,” concludes Farhan. Don 2, starring Shah Rukh Khan, Priyanka Chopra, Boman Irani, Om Puri, Lara Dutta and Kunal Kapoor is all set to release on 23 December in 2D and 3D formats. Check out this brand new still!